Nikon D4S WIll Be Nikon's Next Flagship DSLR Monster--What Will It Do? Nikon just made a "development announcement" saying that Nikon D4S will be the successor to the two-year old Nikon D4 (pictured above). Oh goody, here comes Nikons next badass professional camera! Unfortunately, that's pretty much all Nikon has told us about the D4S. According to the company the product will be on display, but it's unclear what exactly the company will be showing since the product is still in development and doesn't really exist. It's possible there will be a mockup or prototype rather than something finished. In the past, Nikon has shown not-quite production products behind glass so that ravenous media types like us can take photos without actually getting to interact meaningfully with the cameras. Indeed, it's pretty likely that the D4S will look identical to the D4, so Nikon might just show a D4 with a new name stuck on it. We'll have to wait and see at the booth whether or not the company will have anything else to tell us about the D4S. As for educated guesses, I think the D4S will have vastly improved video quality. The D4 was a great shooter for low-light photography and incredible power when it came to things like very high continuous shutter speeds. But it's video quality was lacking when compared to its competition from Canon. Furthermore, we wouldn't be surprised to see some form of built-in connectivity. Nikon has typically stuck with external adapters for complicated camera rigs, and built-in connectivity tends to be a feature of consumer gear more than professional stuff. So I'd file the latter under much less likely. 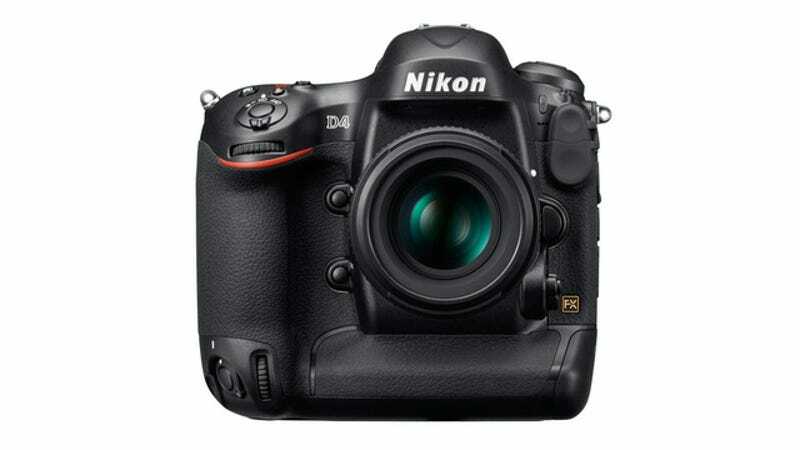 What do you think Nikon has in store for us with the Nikon D4S?